As I contemplate all these fun possibilities, I can’t help but think of all the latest news headlines around the world today; the fighting, wars and inhumanities overseas, the stifled and persecuted people, all the political back biting and mudslinging going on here in the States – yuk! Heartache and irritation; compassion and rejection, sympathy and dislike, affirmation and disbelief, all these emotions and feelings swirling around inside me, all at the same time, ugghh – overwhelming to say the least! But, in thinking of all that, do you agree that we, as a people, should be interested, if not actively involved in our national as well as international affairs, in order to plan realistically for our own futures? However, today, I am contemplating this: There is definitely something to be said for kicking back, relaxing, and forgetting about all that is going on in our lives and in the world, and having some fun. Sometimes we need that sort of disassociation from all the stress, to unwind and rejuvenate, right? But when we are not in times of rejuvenating our minds and bodies, should we spend our days in awareness of, and being sensitive to what is happening around us? And should we temper our attitudes and/or behaviors accordingly? Or do we live or lives how we like – doing and pursuing what makes us feel good? This question brings to mind my trip to New York City the first weekend after the devastating hurricane hit NYC and the Eastern coast. It was the weekend of the highly touted annual New York City Marathon and I met my niece, Sunny, there to watch her run in the race. As it turned out, after we arrived along with thousands of other runners, the race was cancelled. Though we were seriously disappointed the race was cancelled, we decided to do some sightseeing. We were going to be stuck there for the weekend and it was New York City, after all!! happily boarded the subway train to take in the sights of Times Square. We were, of course, jubilant and goofy, laughing and playing around, taking photos, experiencing the NYC subway for the very first time. What we didn’t realize at first was the subway system had been down since the hurricane and only a few select trains were now in operation. The train we were on was packed to the gills. But as we looked around us – I mean – as we took notice of those people around us – we began to realize they were not happy, they were not even smiling. As a matter of fact, as we discreetly surveyed them, we realized they were not only not smiling; some were looking rather hostile at us. Some had looks of grief, some utter despair. And they all looked exhausted. Many looked as if they had been in the same clothes for days. Many looked as if they hadn’t showered for days. They looked like refugees from a war zone. The thing was, the City was in major turmoil. The hurricane had devastated a vast area of the City. Thousands of people were now homeless or unable to access their homes. Power was out, water was contaminated. Many were hungry, unable to access food. Aid was there, but they had to be able to get to it. With the subway system down, and so much of the City dependent upon it, so many were left without food, water, and shelter. As we rode to our stop, we sobered. We began to talk with a few NYC residents on the train. We began to hear about the devastation. We heard the despair in their voices. We saw the pain and fatigue in their eyes. I think we believed that because the Mayor initially chose to go ahead with the Marathon, things weren’t that bad – that if they were, the Mayor would have cancelled the Marathon before registration even began. But we were wrong. Understandably, the Mayor thought the City needed the huge revenue the Marathon brings in each year, in order to help fund the hurricane recovery. However, once the Marathon masses converged on the City, it was clear the City could not adequately handle or cope with them. All of the City’s resources needed to be concentrated and given to its citizens. They were in desperate need. This was a time for humanitarian aid, for sensitive, life sustaining care. We, as well as thousands of others didn’t realize this when we first arrived. But it didn’t take long to figure it out, and most of the marathoners immediately pitched in and spent the weekend helping wherever they could. But on the subway that Friday, as my sister, my niece, and I realized the devastation these people were experiencing, we had to temper our behavior. 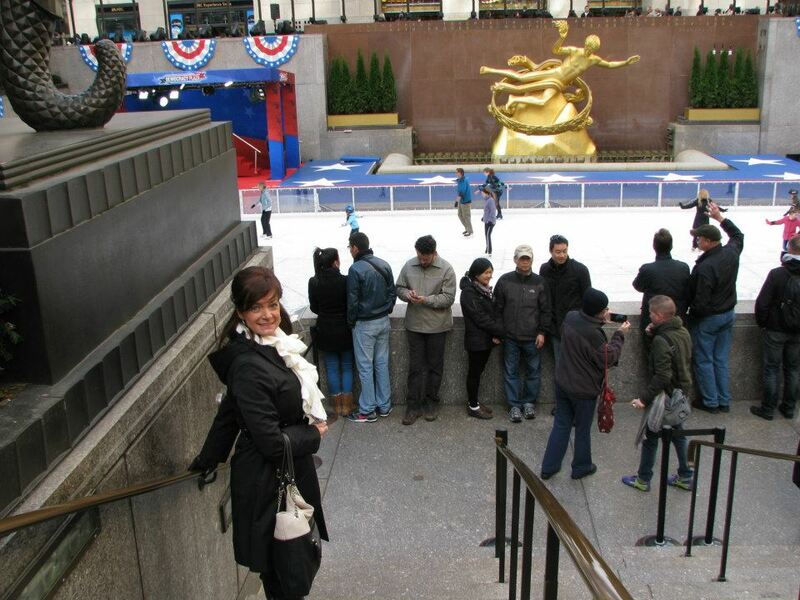 Yes, we wanted to be carefree and enjoy what we could of our weekend in New York City, who knew if we would ever get back here, but we had to take the feelings of these precious but overwhelmed people into consideration. We needed to have compassion for their suffering. Laughing and playing around on the subway became inappropriate. Being sober and considerate became right. When we are not in times of respite or rejuvenation, should we spend our days in awareness of, or being mindful or sensitive toward what is happening with those around us? 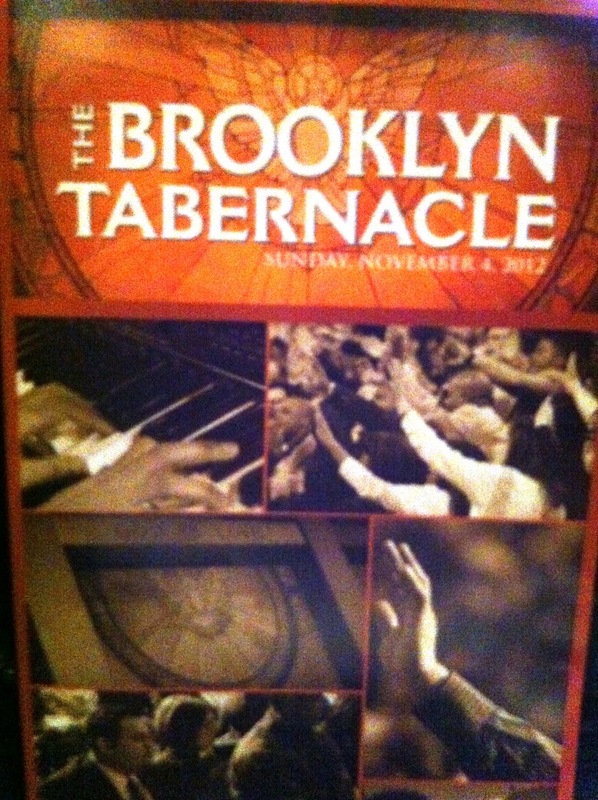 And should we temper our attitudes and/or behaviors accordingly, even if that means missing out on something ourselves? So, in conclusion, my thought for today would have to be this: that whatever I decide to do, I will make good use of the free time I have, living heartily, enjoying the freedoms I have been given and being thankful for them. And at the same time, I will make it important to be mindful of those around me, being thoughtful and considerate of their situation and feelings, and not carelessly stepping on their toes or causing them further discomfort or harm. 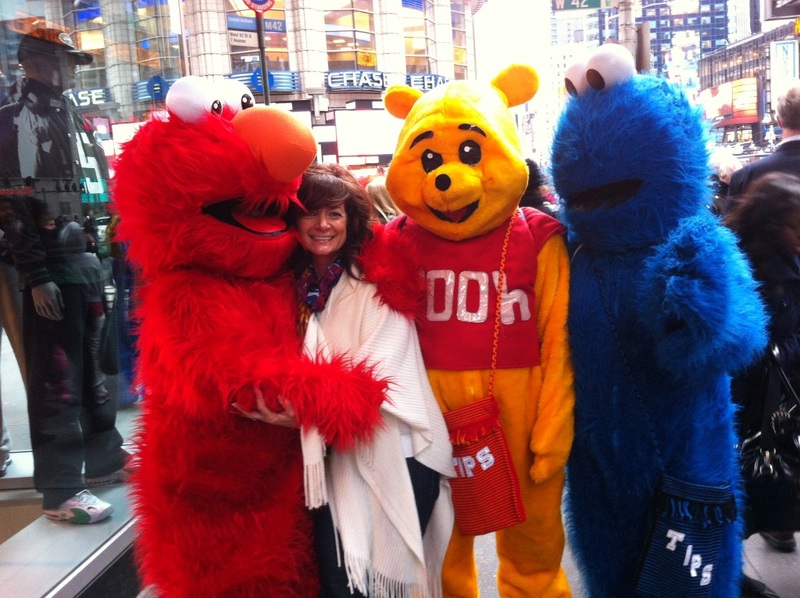 Getting a hug from the NYC Characters! 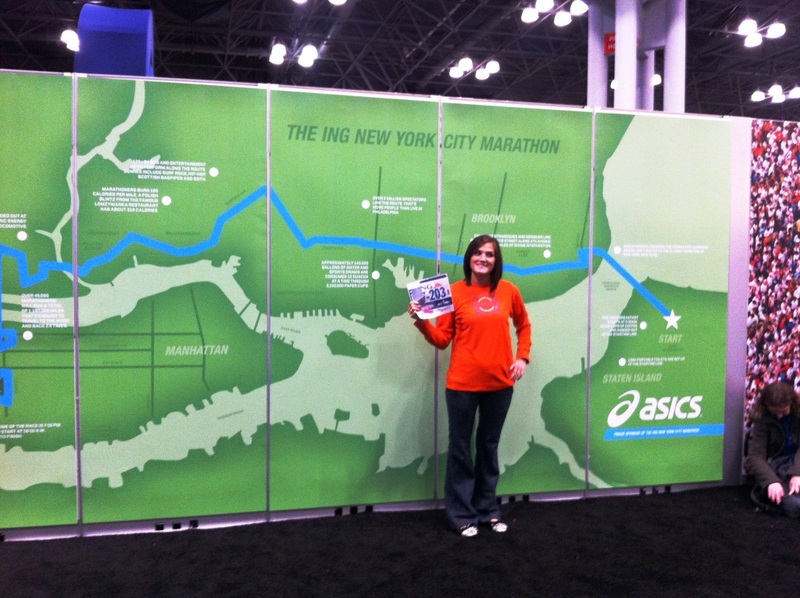 Sunny is registered for the NYC Marathon! Wow! 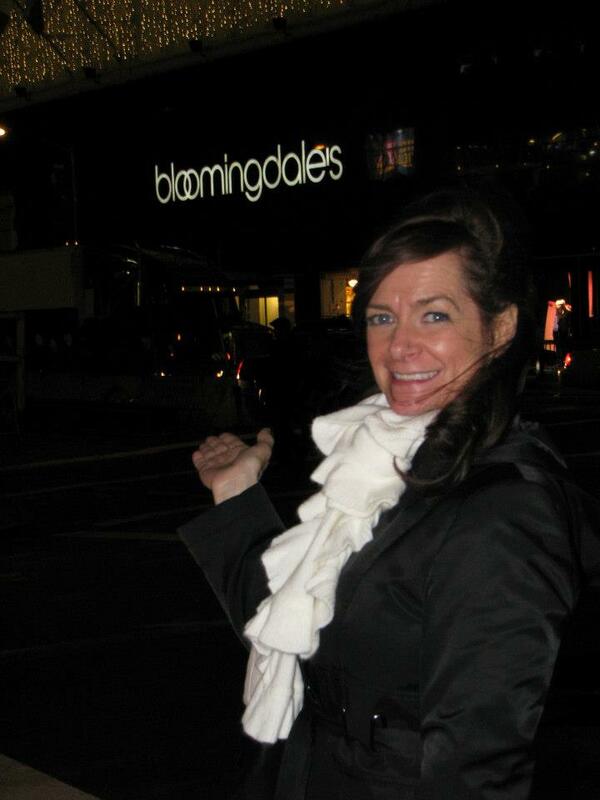 Bloomingdales! Let’s go shopping!! This entry was posted in Comfort, Daily Devotional, Daily Living, Grief, Inspiration, Lifestyle, Loss, Religion, Uncategorized and tagged Comfort, Daily Devotional, Daily Living, Grief, inspiration, Lifestyle, Loss, religion by WordwithMindy. Bookmark the permalink.